Finally had the time to sit down and edit day 1 of my Korea photos. 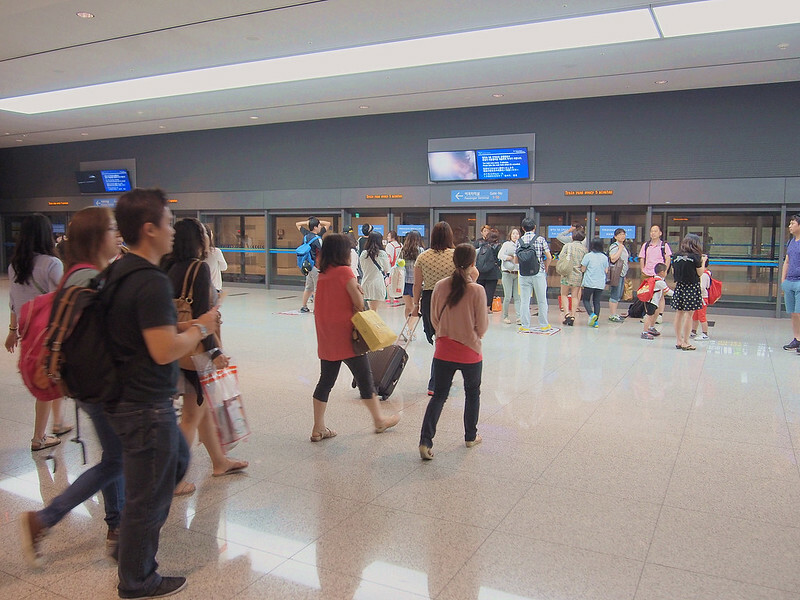 So its been days since I last came back from Korea and it was AWESOME! To the extend that I'm having depression. HAH! JUST KIDDING! So anyways, throughout this whole trip, it was Andy (ANdyStorm) who thoughtfully planned it. Kudos to him for planning it so good and detailed that we even manage to "SIAM" the rainy weather when we're "SUPPOSED" to go with our original itinerary. So without further ado, lets get this travelogue started. 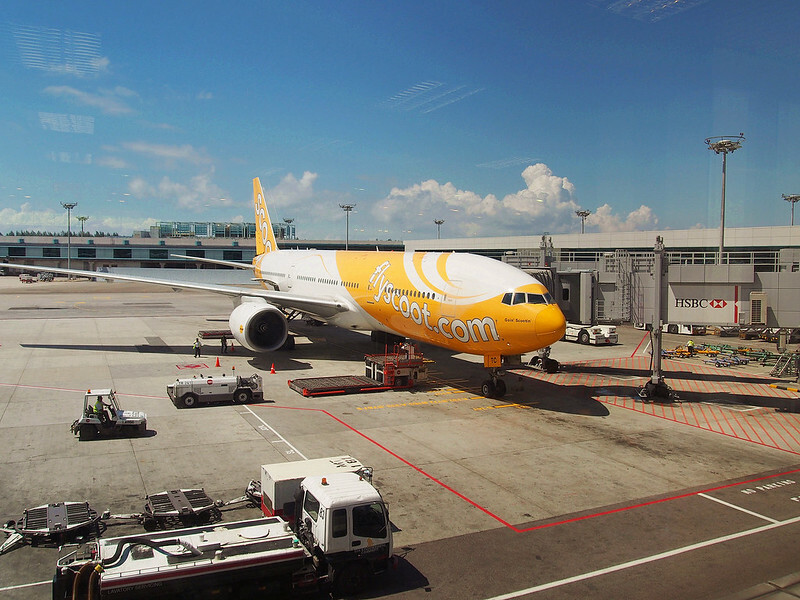 Our flight to Korea was Scoot Airline, I've heard many bad reviews on Scoot's fb page but so far I've sat on their airline 2 times, 1 was to Bangkok and the other to Korea and I didn't experience any bad service from them leh!!! 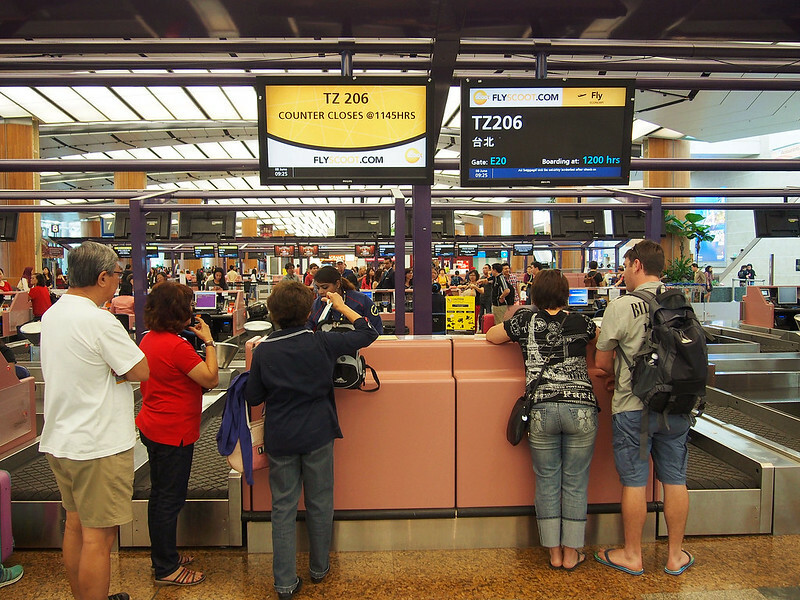 The timing of our flight is at 12.45pm but we're allowed to check in our luggage 3 hours before. So the kiasu me told Andy that we should reach the airport VERY EARLY in order to avoid unnecessary disappointment. You know, in case they told us the flight was overbooked and we ended up with no seats??? SUCH THINGS DO HAPPEN OKAY!!! I've seen it on Scoot's fb page where people complain about it!!! 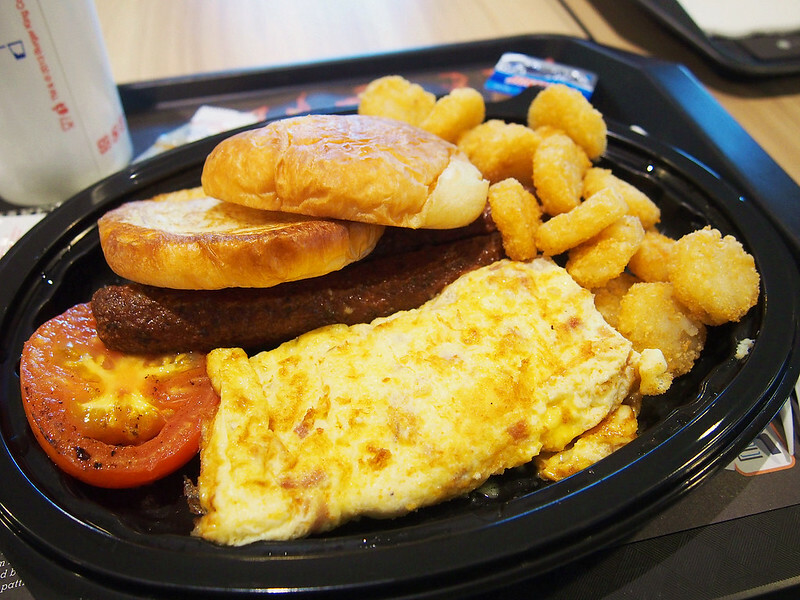 So anyhowww, be really checked in super early, and with lots of time to spare, we went to have our breakfasts at Burger King. This set meal costs me like $8+++ SGD! So bloody expensive!!! Why Burger King food always so expensive one ah???!!! But the hash browns are nice la! So no complain. 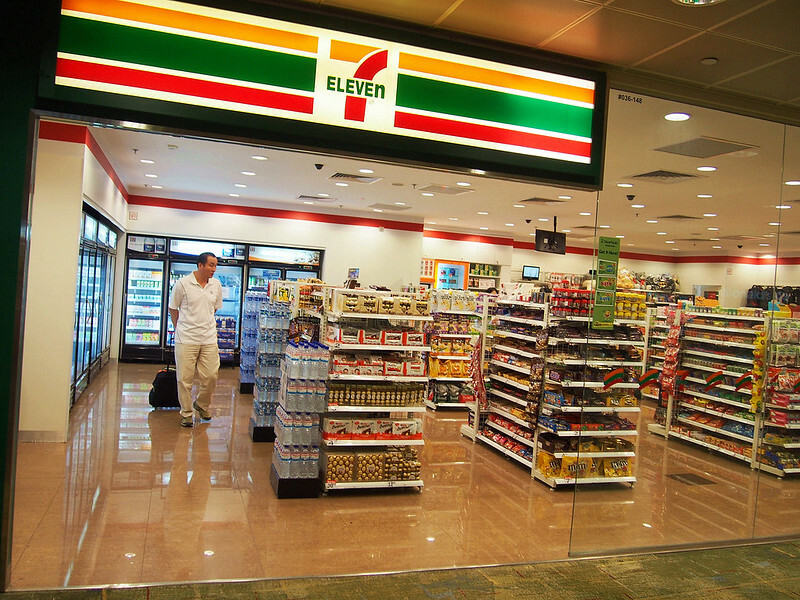 So, we went into the departure hall and Andy got some last minute stuff from 7 Eleven. 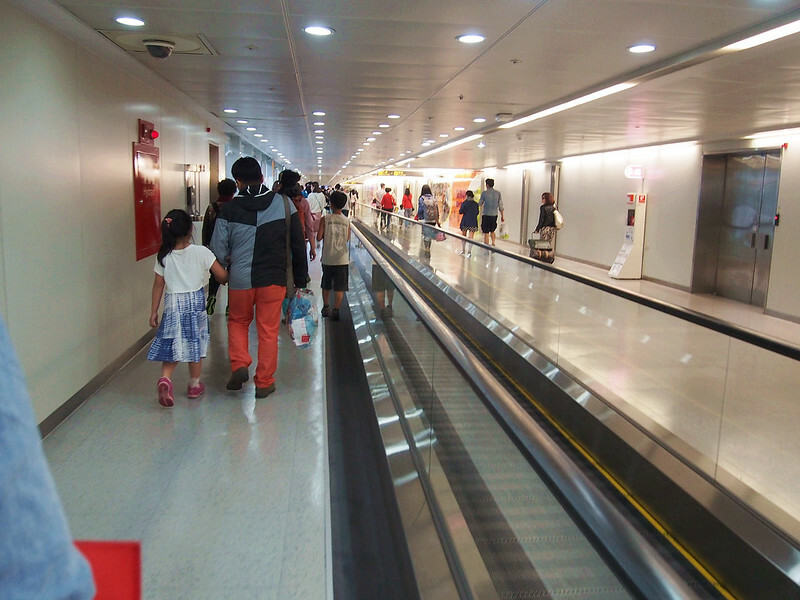 Then we walked around, stoned before heading to the departure gate. 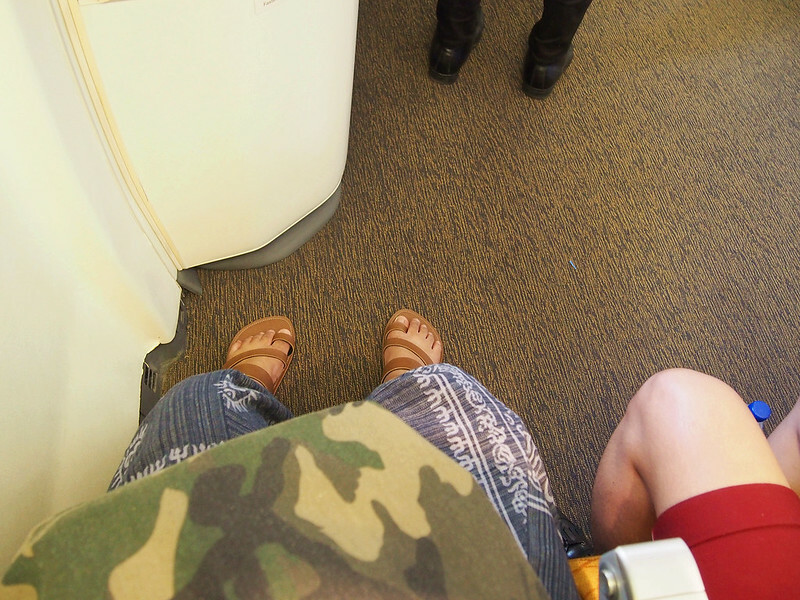 I requested for window seat, and I ended up getting the seat near the exit, where THERE ARE PLENTY OF LEG ROOMS! Hahahah! And best of all, I didn't top up any additional money for that!!! THATS WHY I LOVE SCOOT!!! 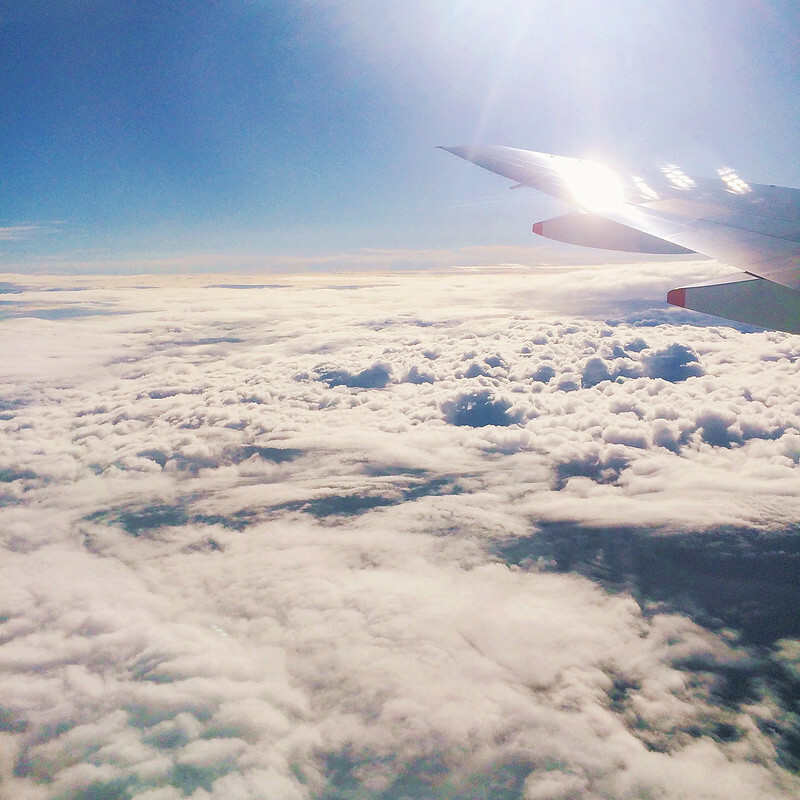 Reasons why I love sitting at window seats, I can get to see the beautiful sky and take gorgeous pictures of it!!! Hopefully I don't get concussion or so, if not all these beautifully painted memories will be gone.. *SOBS*!!! So in the midst of flying to Taiwan to transit over to Seoul, Korea. 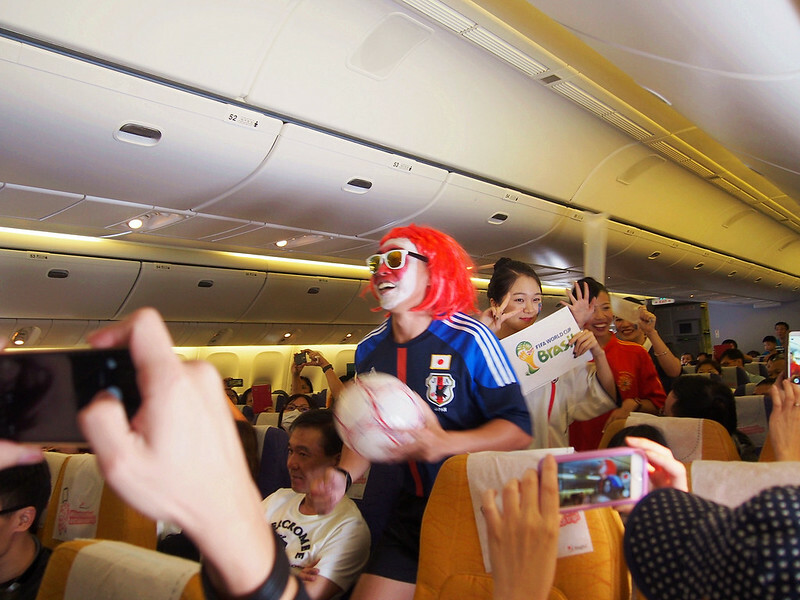 The Scoot air steward and stewardess decides to make things a little more livelier, by playing music and dancing in conjunction of the Brazil FIFA World Cup. All the while, I was looking at the Korean air stewardess. She's damn pretty cannn! IMO! I really like the way she smile! What's more throughout the whole flight, she was just sitting right infront of me. *GASPS*!!!! 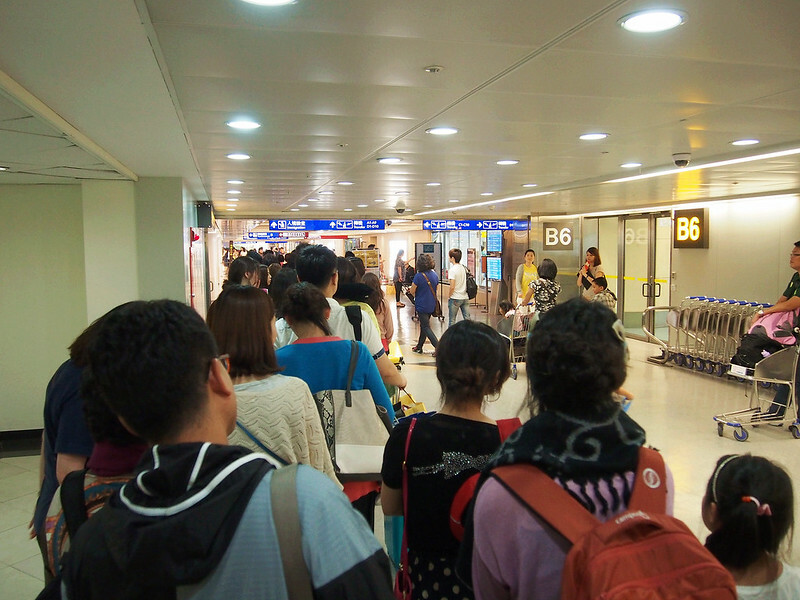 Finally, after a rough 4hour 20mins flight, we finally reach Taiwan for transit. Now this is the part where I have been trying to google for blogs that took scoot airline to Seoul but no avail, because I was unsure of how the transit works. 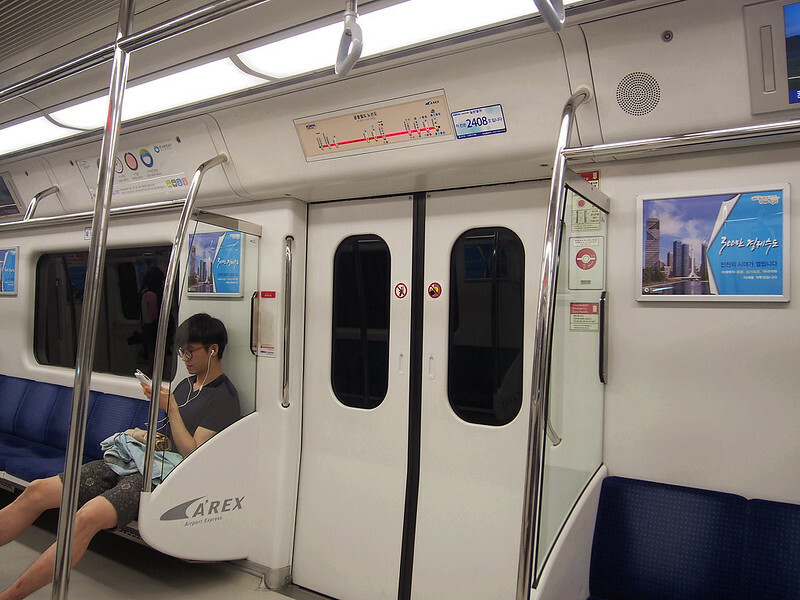 So now that I've been there done that, I'm gonna write it down at this space of mine for future hopefuls in search of ways/how to go through the transit process. 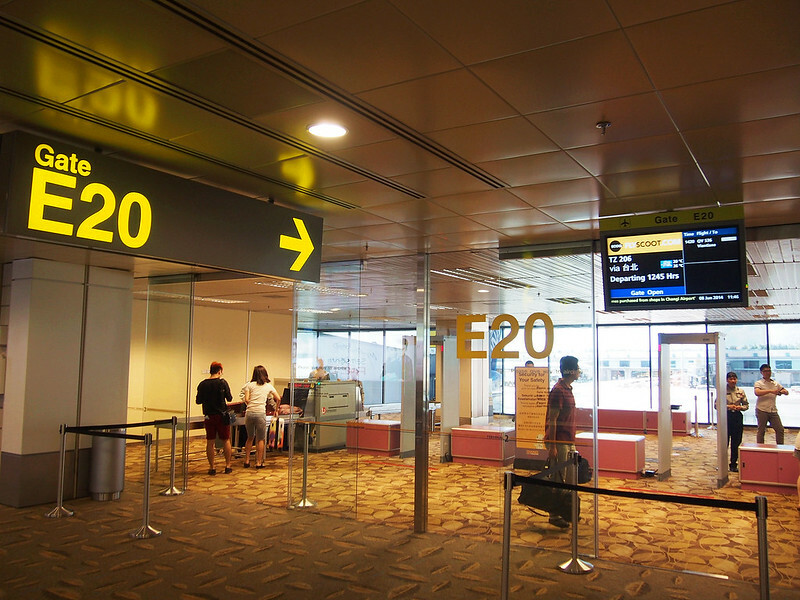 Gotten our transit card, we then followed the rest whereby we need to head to the departure gate, thank god I remembered which gate our flight is at, if not, I think its better that you double check with the airport staff which gate your flight is at when you're taking your transit card. 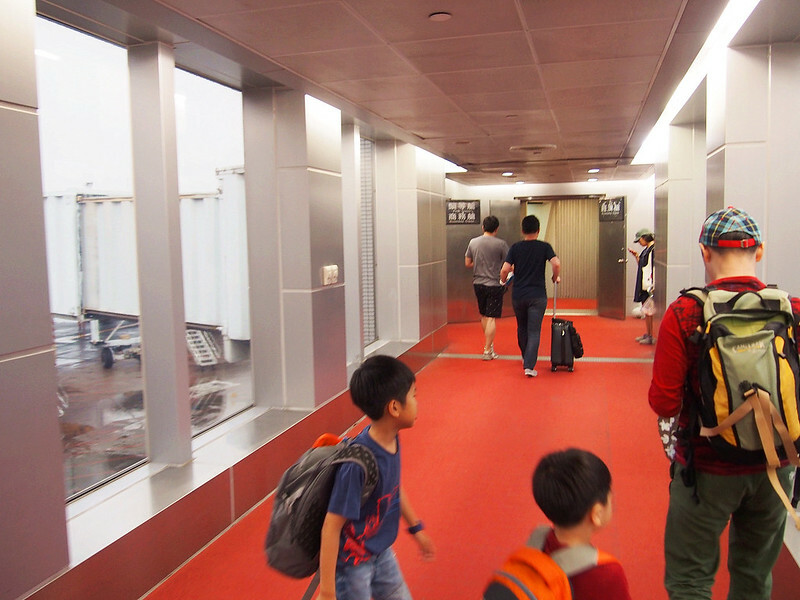 Boarded the plane and after a few minutes later, we took off and headed off to Seoul, Korea!!! 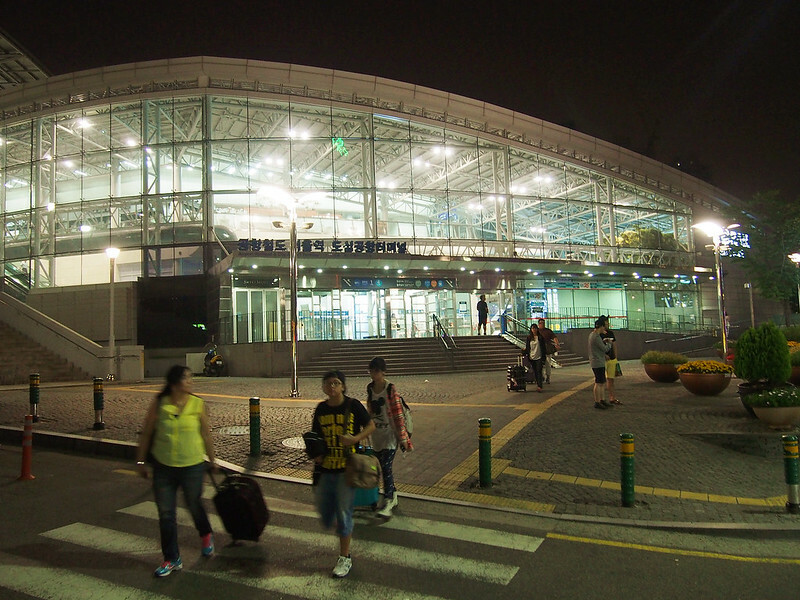 Touched down in Korea, (LIKE FINALLY)!!! And we just followed the crowd, went down to the underground level, took the train before we can check out of the custom. MASSIVE LOTS OF PEOPLE! LOOK AT THAT!!! 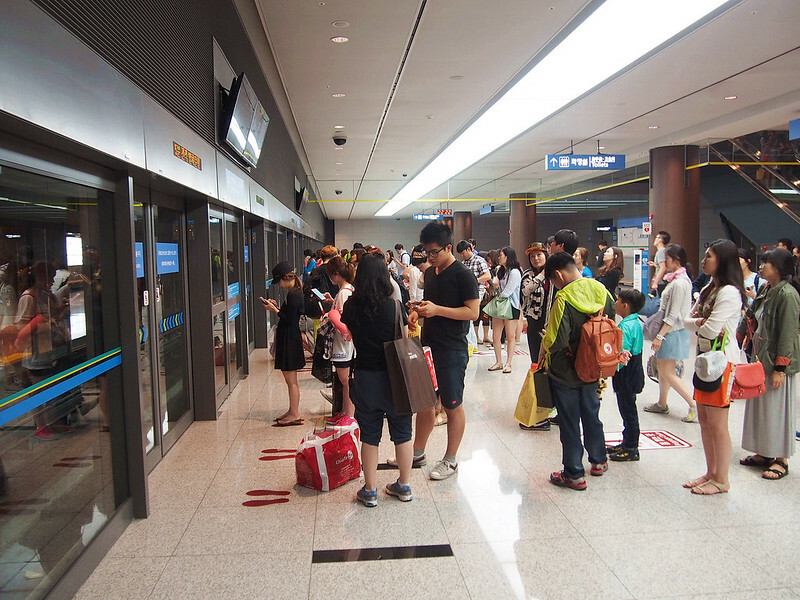 Initially I was still wondering how come people are rushing as though its for the last train/bus to Seoul station. Ended up it was the queue at the custom. 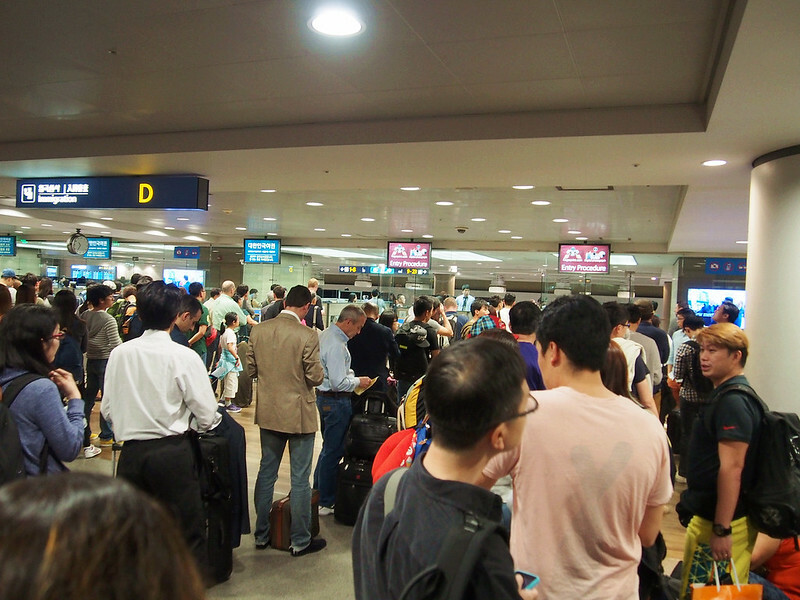 By the time you got out of the custom, got your luggage, you probably would have missed the last bus to the city. So me and Andy went to get our unlimited data wifi egg at a counter in the airport. We have to first write down the name and passport details of 1 person and then you're good to go. 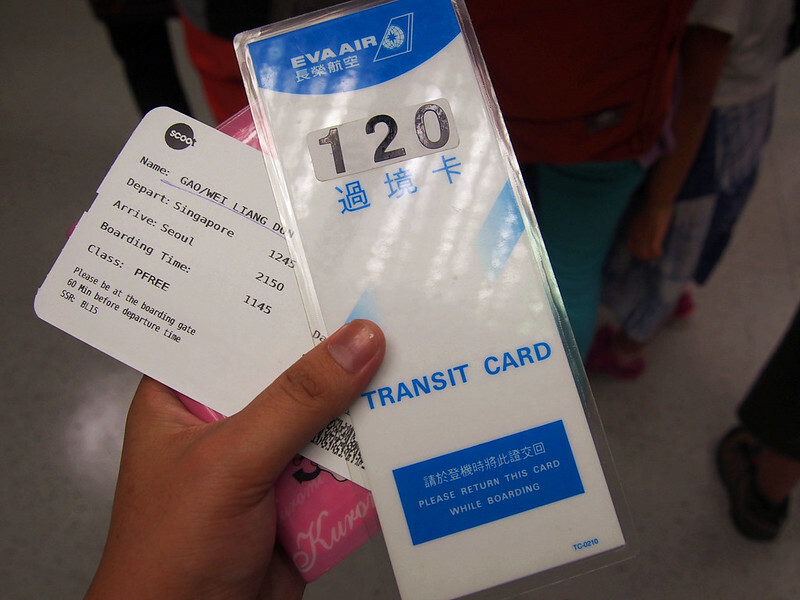 In total we paid like around $28 SGD per person (we have a total of 2 person in case you didn't know). So total cost for the wifi egg is around $46 SGD covert to Korean won is about 36,800 won bah! Maybe more, maybe less, depending on the rates at the point of time you're going. 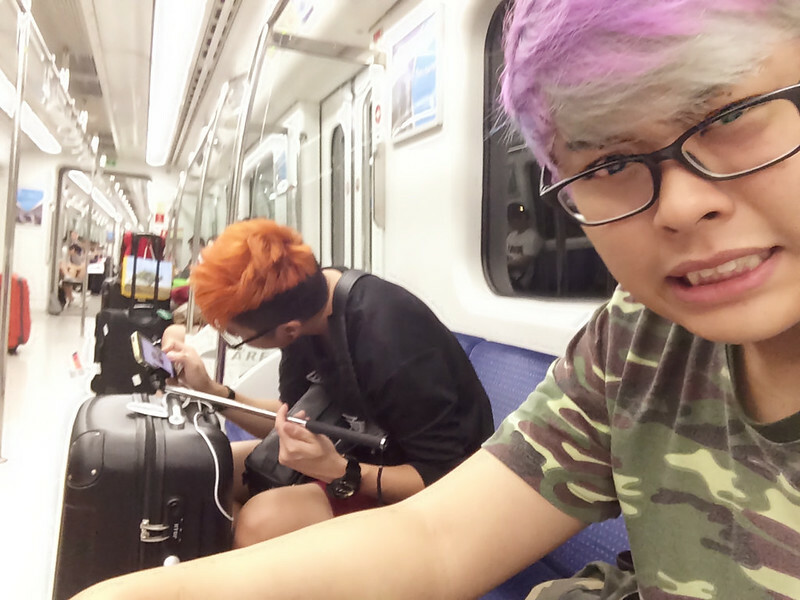 After we have rented the wifi egg, we then head off to take the railway express, and its quite expensive leh! 1 person is 4550 won, inclusive of 500 won deposit. So the ticket costs us like $5 SGD!!! *HEART PAIN*!!! We waited quite awhile for the train to arrive, because we barely missed the one before it. 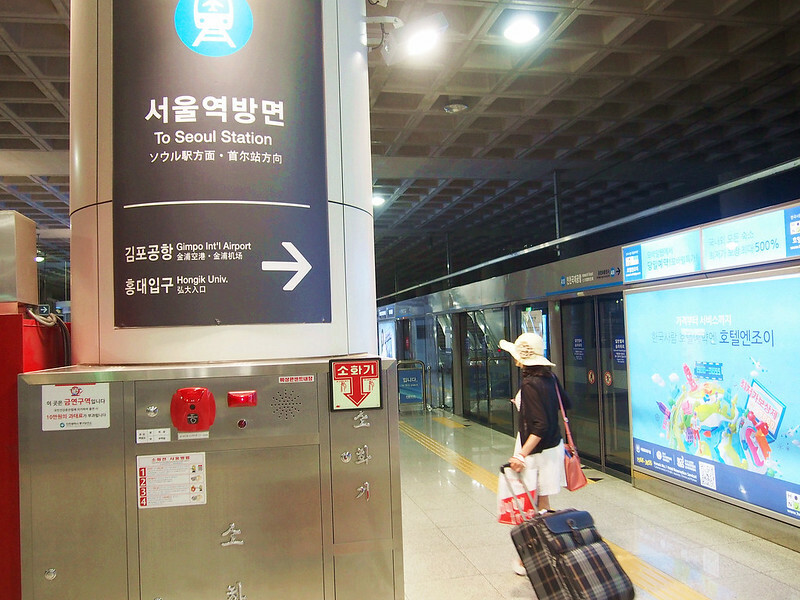 But nevertheless, we got on the train then we're off to Seoul station, which is at the very last red LED dot that you see at the above pic. It took us around 30 - 45 mins to reach there. Here's a photo of Andy fiddling with his selfie pod. Lololol!!! Throughout the ride, he was just there camwhoring with his selfie pod. LOLOLOLOLOL!!! 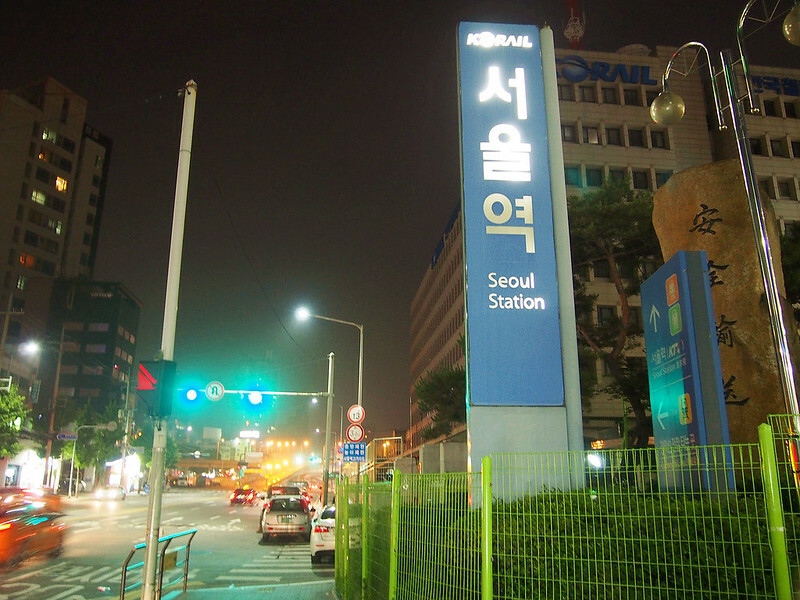 After the long ride, we finally reach Seoul station. The moment we step out of the station, it was freezing 19 Degree! Thank god I wore a pants long enough to cover my legs. 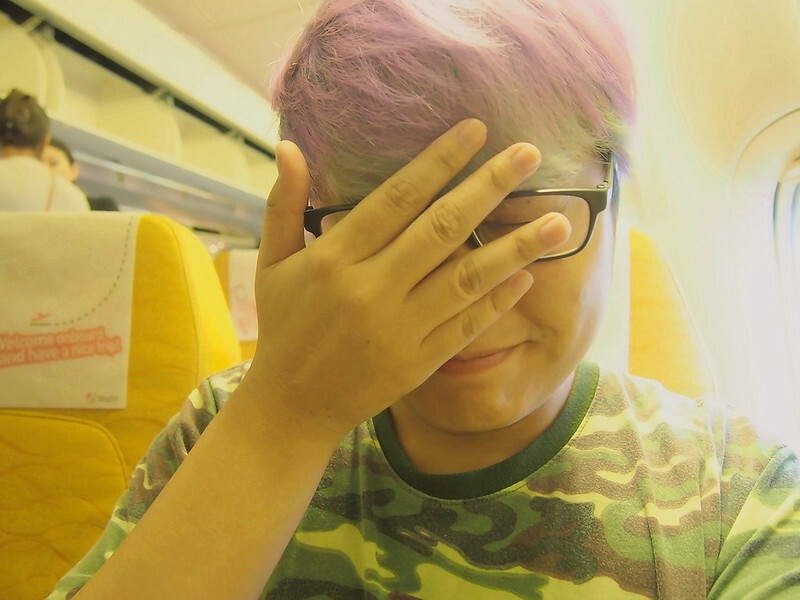 But nevertheless, I'm thrilled to get to our hostel and just crash cuz I was extremely tired from our flight. We waited for a taxi at the taxi station, and we got ourselves a very grumpy and angsty taxi uncle. He didn't understand what we're trying to say, and when Andy showed him the place where we want to go, he didn't quite get it. 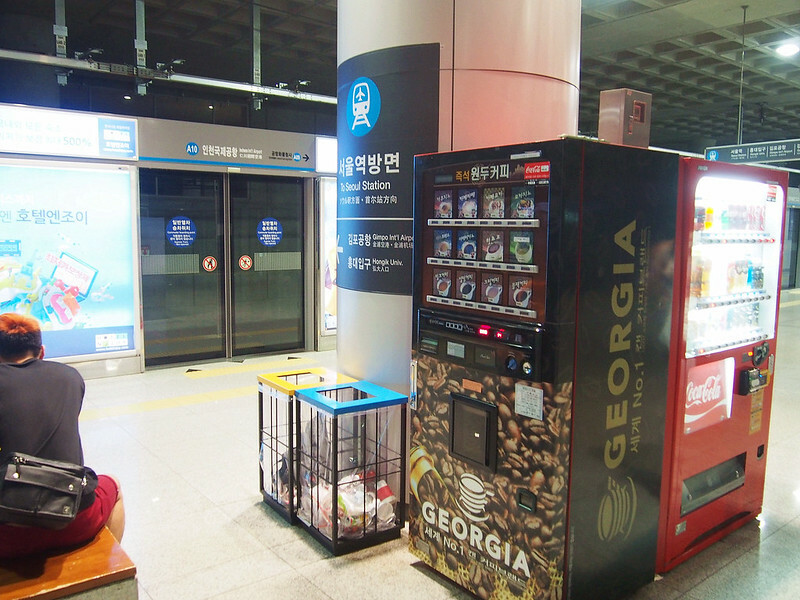 So in the end he dropped us off at Myeong Dong station exit 3 instead, which was better I guess? Cuz I get to buy McDonald's back to the hostel to eat for supper! HAHAHAHA!! Reached and checked in to our hostel, before we could take any photos of our room, we pretty much messed up the place already. Hahaha!!! But still, here's a picture of how our room looks like. More photos of the room in the next post because it was at night already and pictures won't look good in the night right? This won't do the hostel any justice!!! Hi! 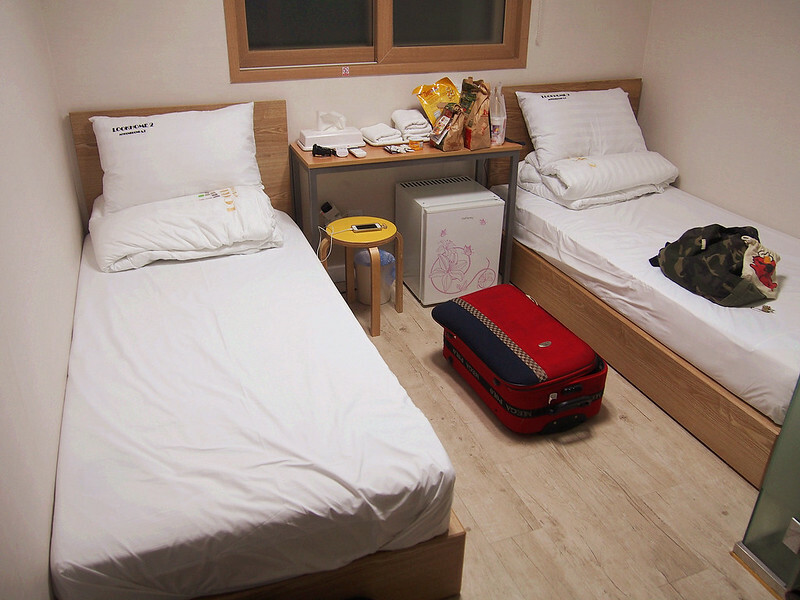 May i know which hostel did you stay at in korea? 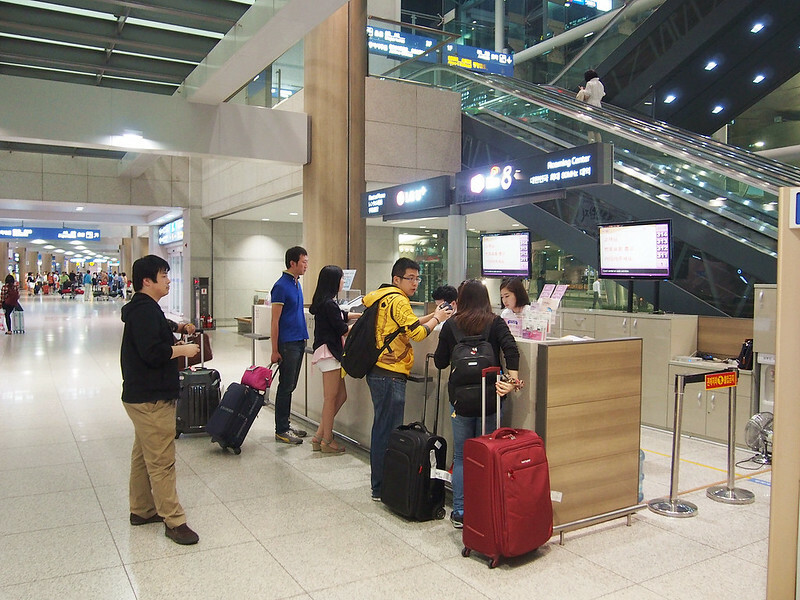 HI can I check if when u did the transit in TW can you go to the departure hall for a meal or a drink?